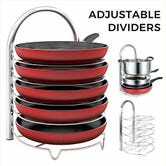 We’ve posted a couple of deals on these pan organizers lately, but this the first one with adjustable tiers, so it will fit more than just the thinner frying pans. It’s just $17 with promo code 5NIWA7B4. 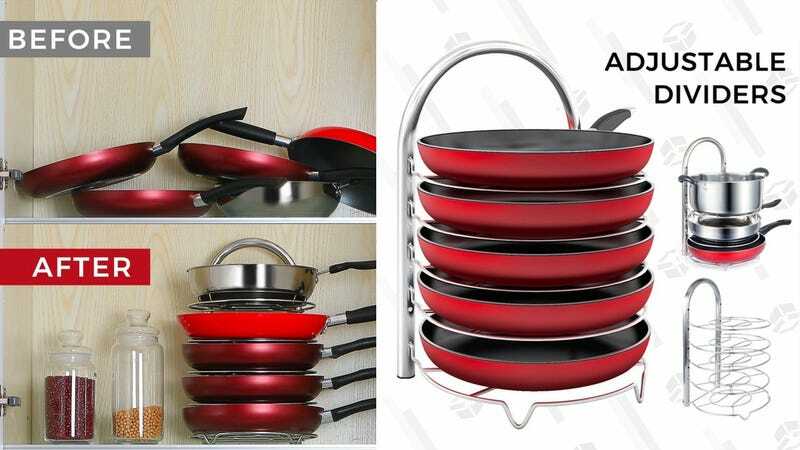 In addition to giving you easy to access to all the pans, not stacking your pans directly on top of each other will stop you from accidentally scratching them up, which makes this especially nice for nonstick pans.